This rescue dog has found his joy! He’s the lead dog in a dog sled race and can’t wait to run. He’s so excited you can hear him bark “Run, Run, Run”! 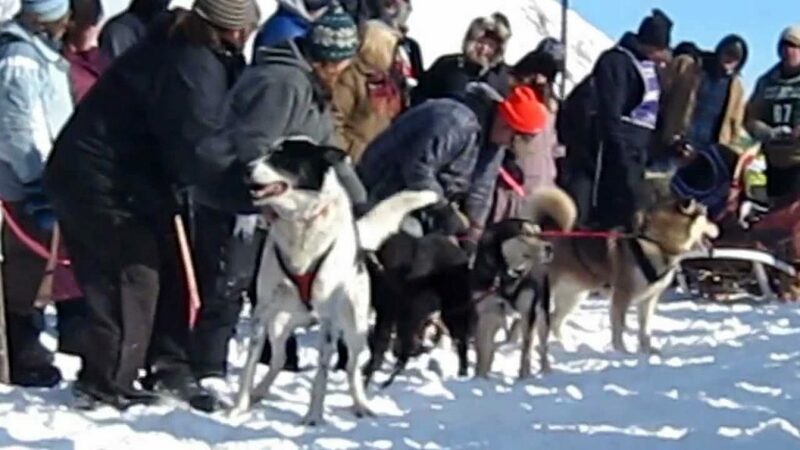 O’Riley is just one of the sled dogs – all rescues – known as Racey’s Rescues. Jim Lynch and Sally Hedges founded the shelter Racey’s Rescue. And every year Jim races at the Apostle Island Dog Sled Race in Bayfield, Wisconsin with his dogsled team. The dogs race both Saturday and Sunday, with half of the total race distance completed each day. Go O’Riley, go!